A chlorinated sanitizer formulated for use on food and non-food contact surfaces. 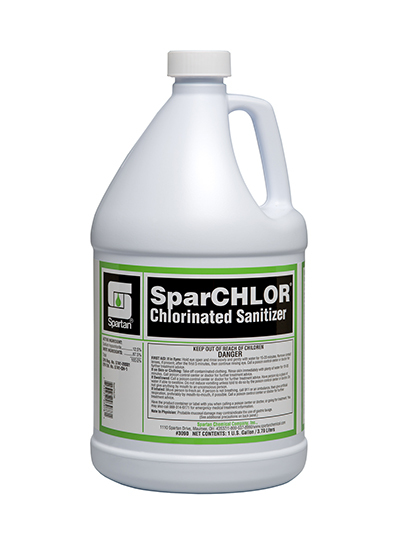 SparCHLOR is proven to reduce 99.999% of bacteria such as E. coli and Staphylococcus aureus. SparCHLOR is highly concentrated and provides superior performance with low in-use cost. An excellent deodorizer for those who prefer the traditional chlorine sanitizing fragrance.